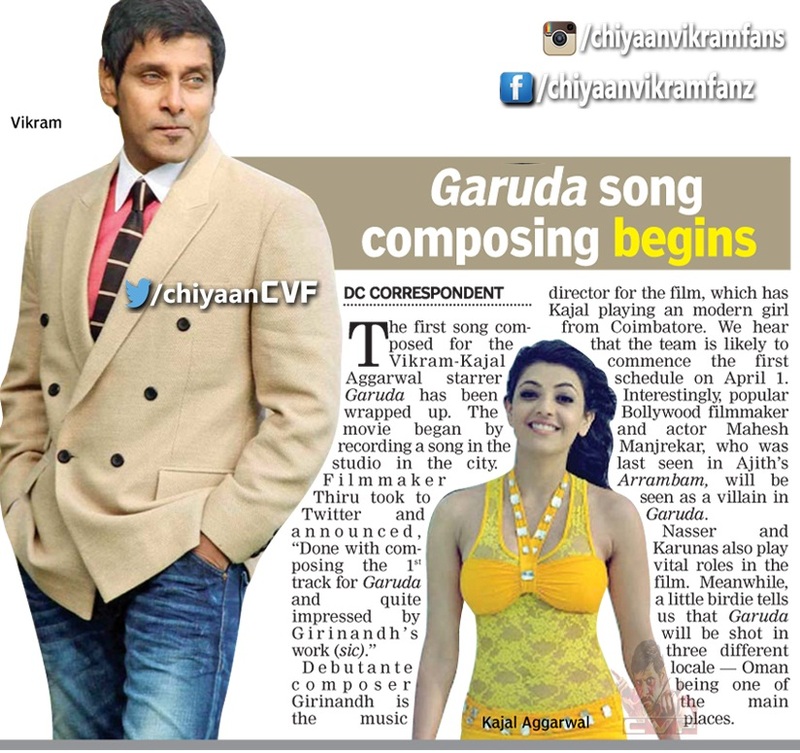 The first song composed for Vikram - Kajal Aggarwal starrer GARUDA has been wrapped up. The movie began by recording a song in the studio in the city. 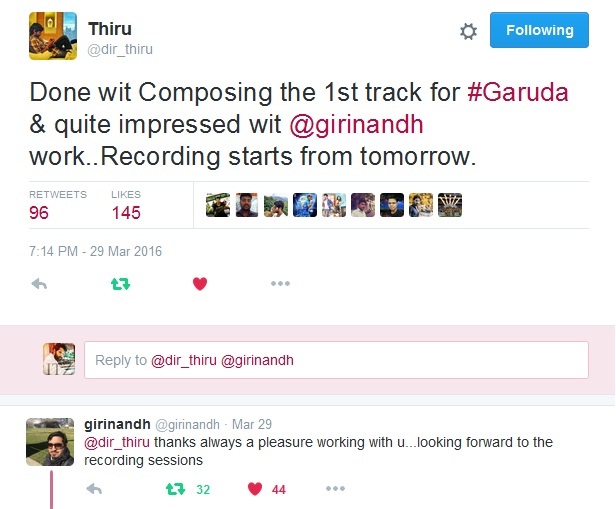 Filmmaker Thiru took to Twitter and announced, " Done with composing the 1st track for GARUDA and quite impressed by Girinandh's work,"
Debutante composer Girinandh is the music director for the film, which has Kajal playing a modern girl from Coimbatore. 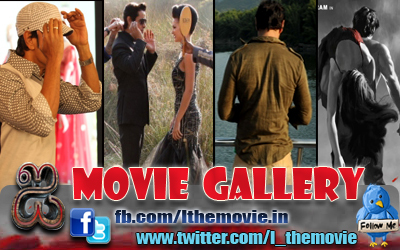 We hear that the team is likely to commence the first schedule on April 1, Interestingly, popular Bollywood filmmaker and actor Mahesh Manjrekar, who was last seen in Ajith's Arambam, will be seen as a villain in GARUDA. Nasser and Karunas also play the vital roles in the film. Meanwhile, a little birdie tells us that GARUDA will be shot in three different locale - Oman being one of the main places.